Buyers of the new Samsung Galaxy S10 and S10 Plus find a pre-installed plastic screen protector on their device when unboxed from March 8th. Samsung has confirmed that it provides the S10 with a protector on the display, which means that you do not have to immediately search for something compatible with the ultrasound indicator fingerprint sensor on day 1. Now it's just your very basic screen protector – like OnePlus does with their phones if I had to guess – and it's not glass, so it's bound to scratch with time. The included protection has a 90-day guarantee. Samsung will sell extras from its first-party screen protector for $ 29.99, but the company does not intend to bring it to Best Buy or carrier stores, as they are likely to carry other similar options. 0E doesn't want this screen protector included, as it will work with many screen protectors without any problems. 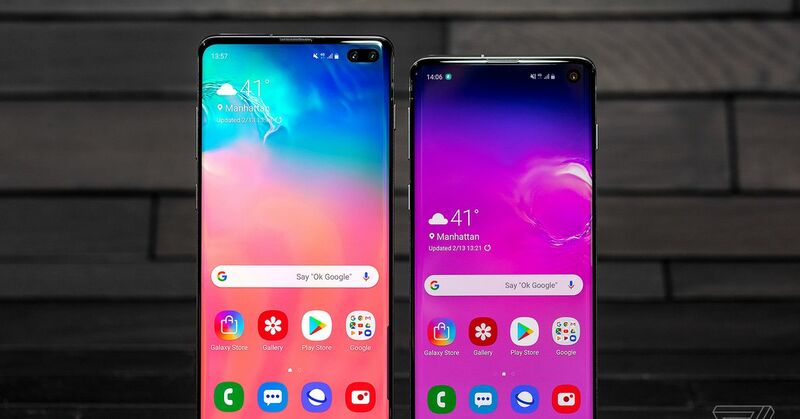 Samsung seems to be focused on doing so on S10 and S10 Plus to give consumers a quick solution out of the box. There is still some confusion when it comes to tempered glass screen protectors and the Galaxy S10. A recent video from MKBHD confirms that traditional glass protectors such as those from InvisibleShield do not allow the fingerprint sensor to work properly. But some companies claim they want compatible products. Whitestone, which produces hardened glass screen protectors that adhere to screens using LOCA glue and UV light curing, says it's certified for Samsung's latest phones. So it seems that glass protectors can actually work if they are thin enough and meet the company's specifications. We need to see how much it is when S10 and S10 Plus start to reach customers.